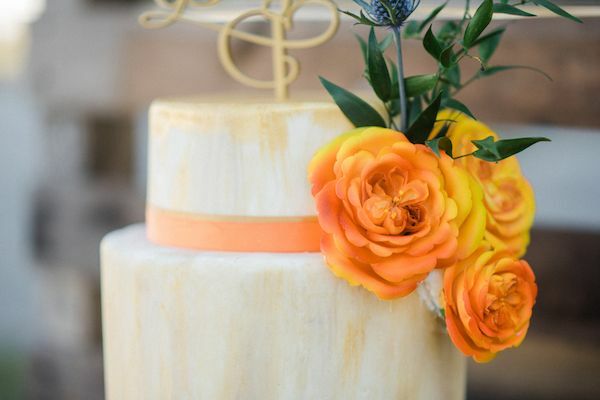 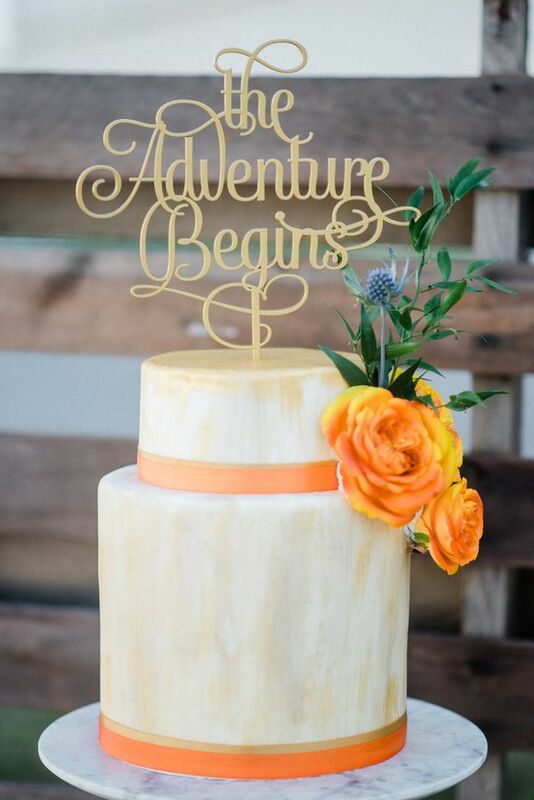 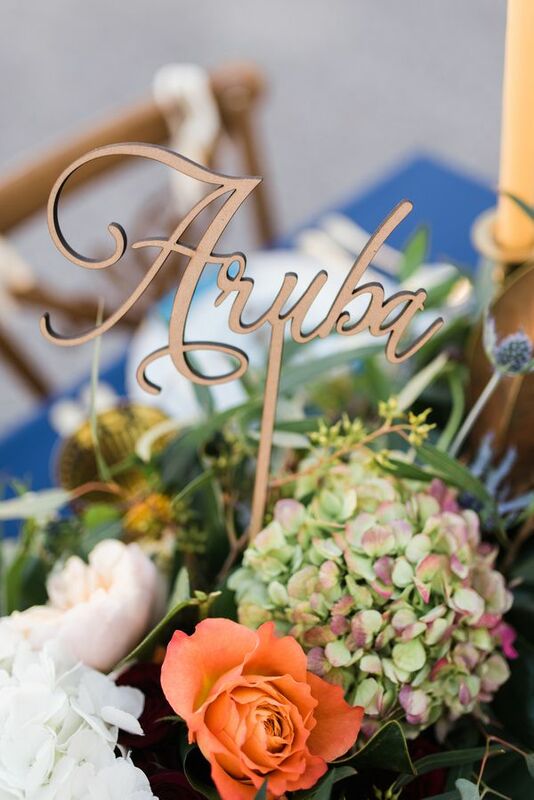 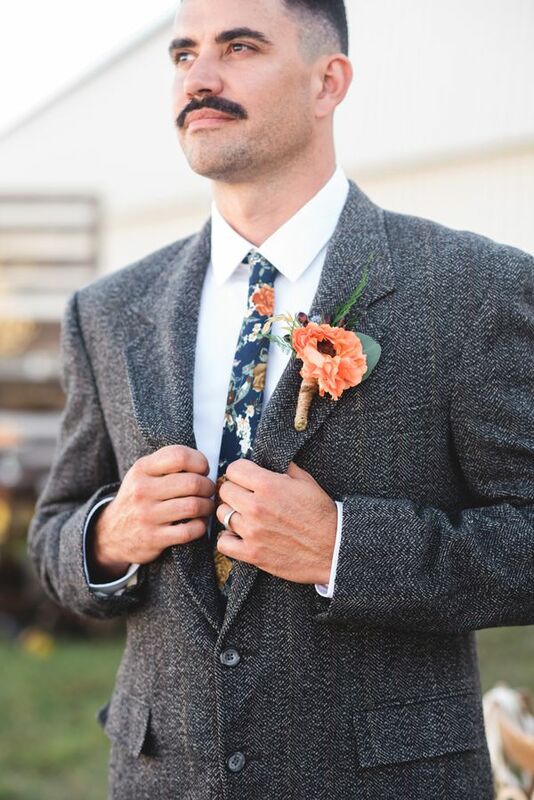 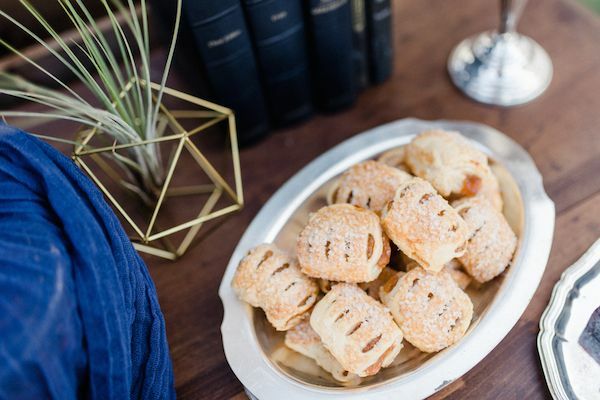 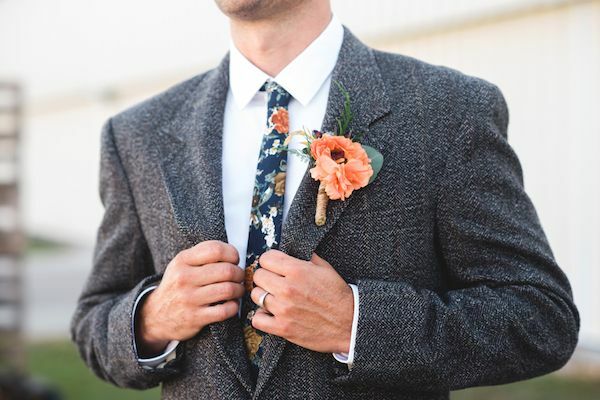 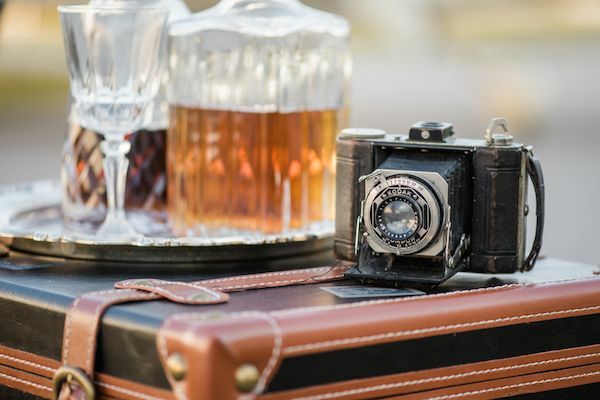 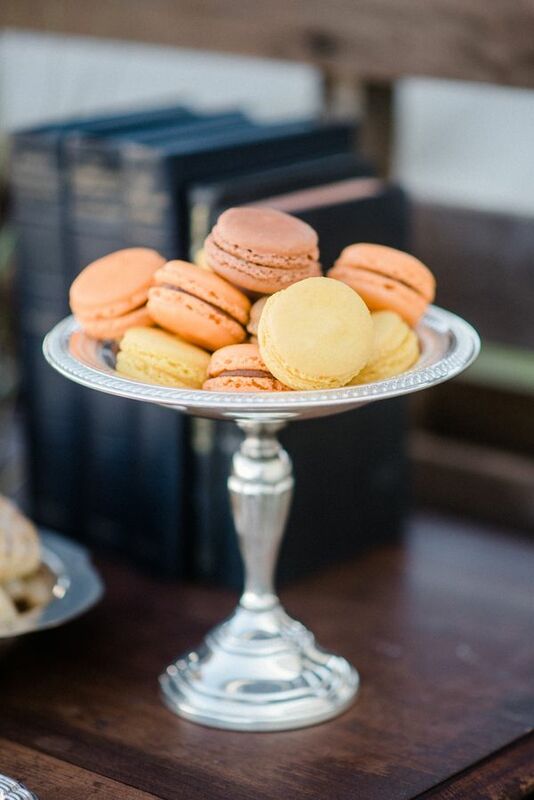 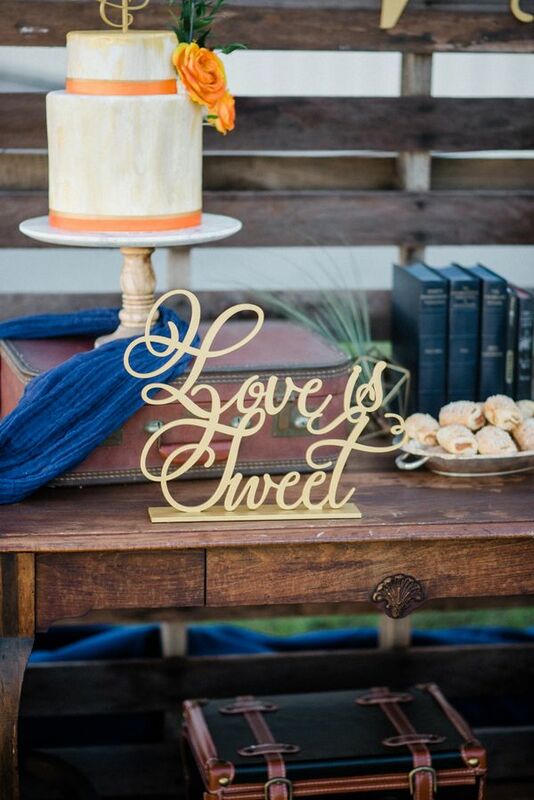 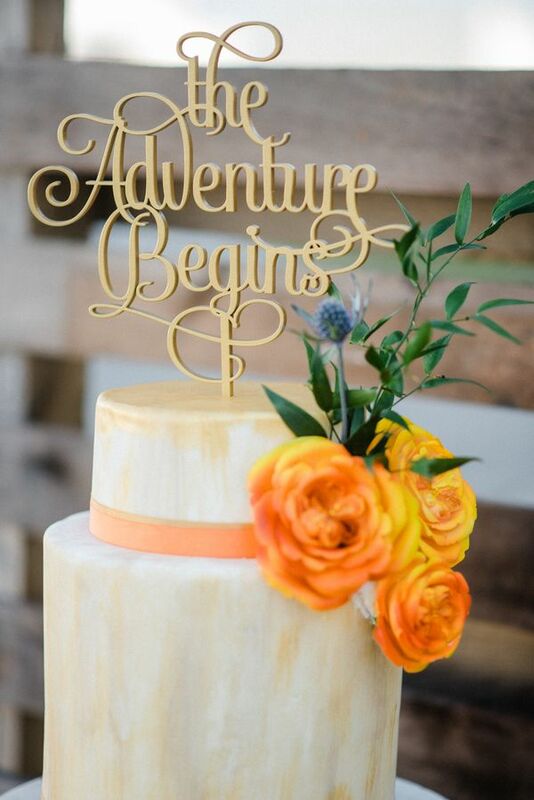 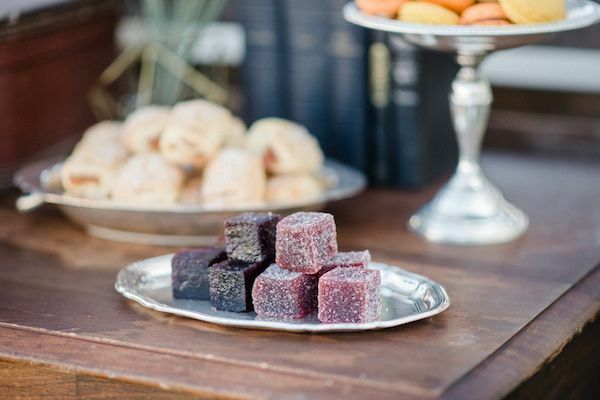 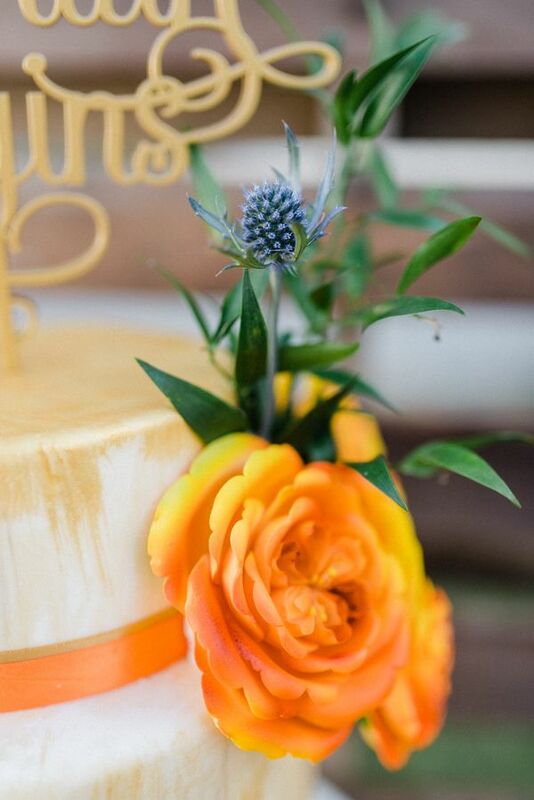 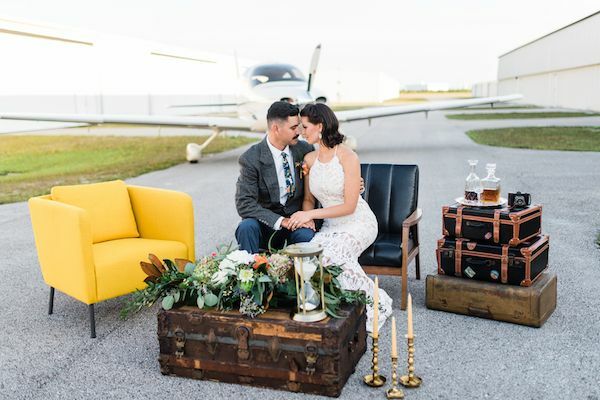 Inspired by wanderlust and the explorative vibes of the 70s, this styled shoot with design by Z Create Design takes the cake with it’s vibrant nostalgic color palette and nod to an era filled with excitement and freedom. 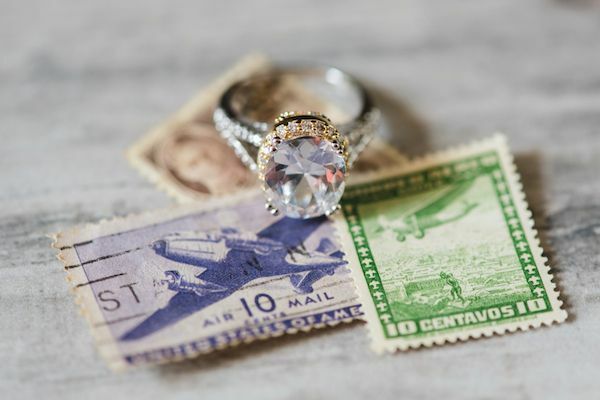 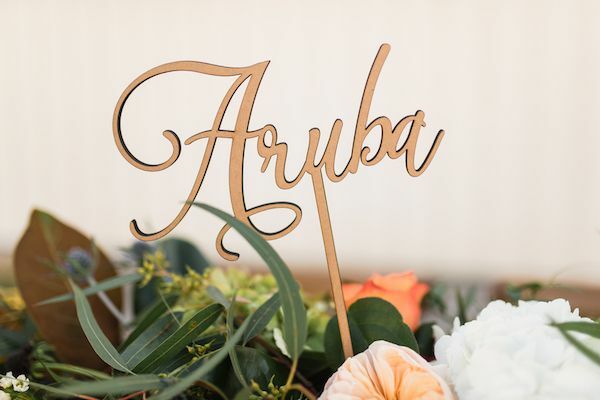 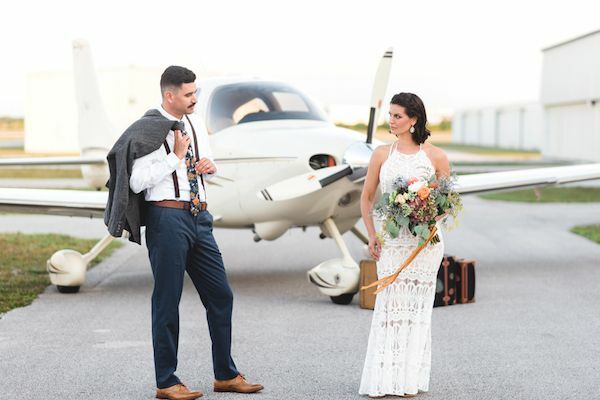 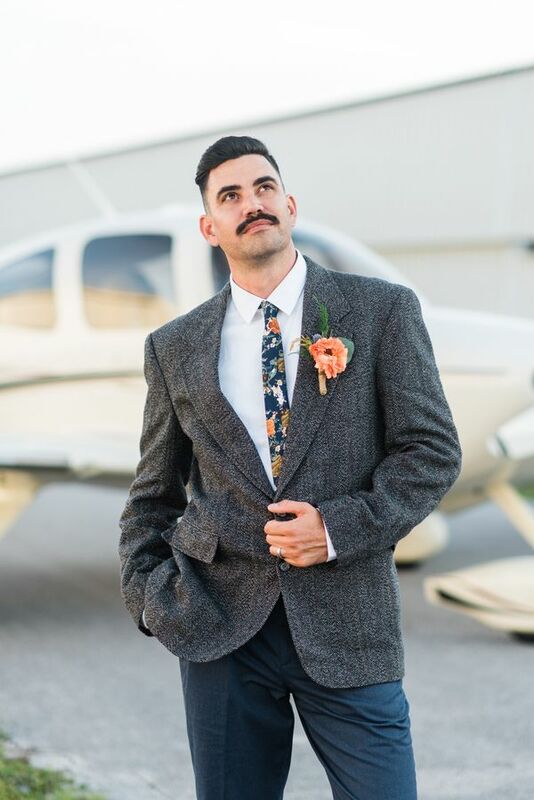 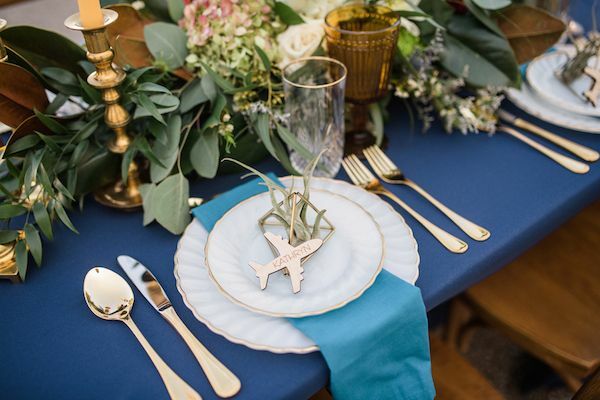 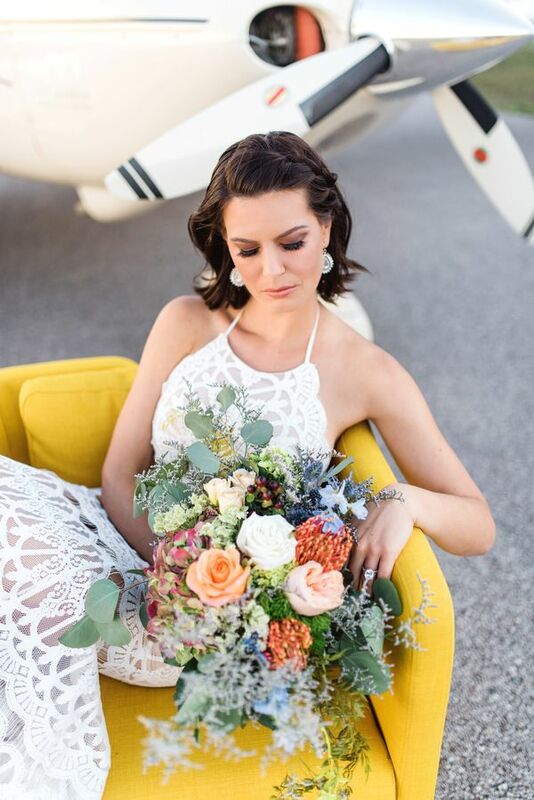 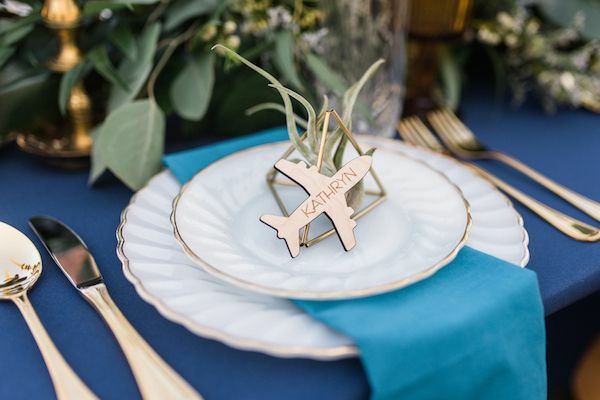 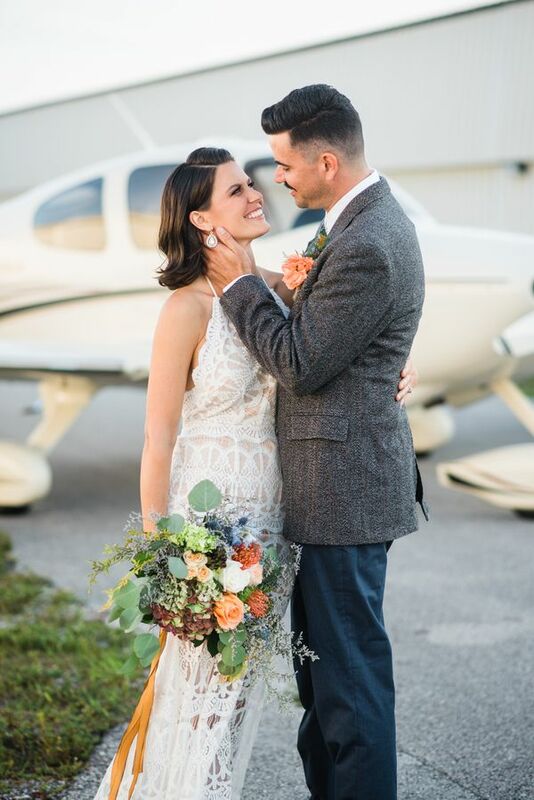 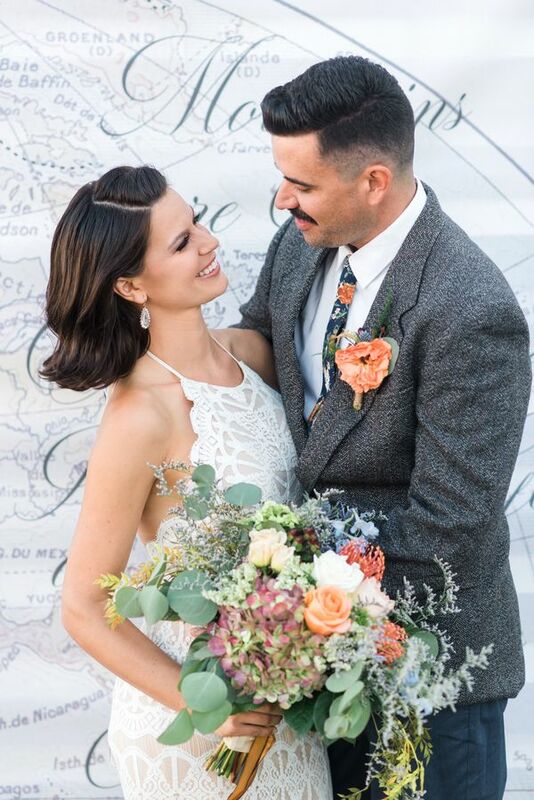 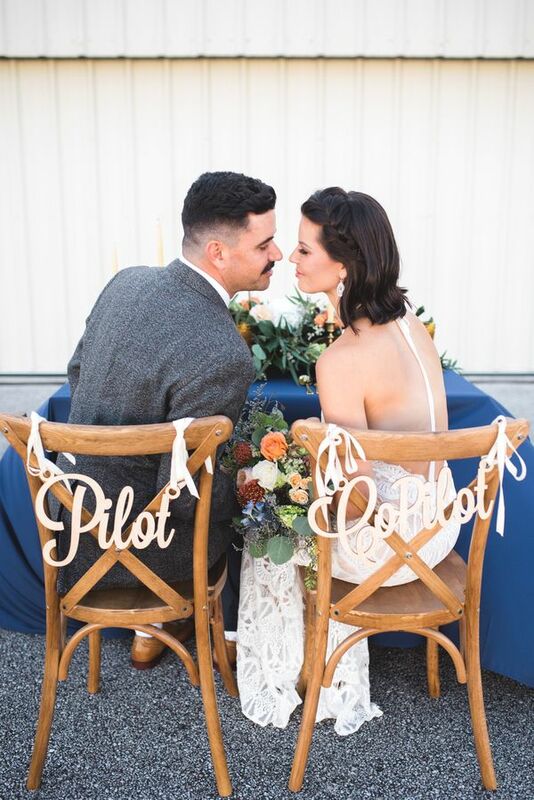 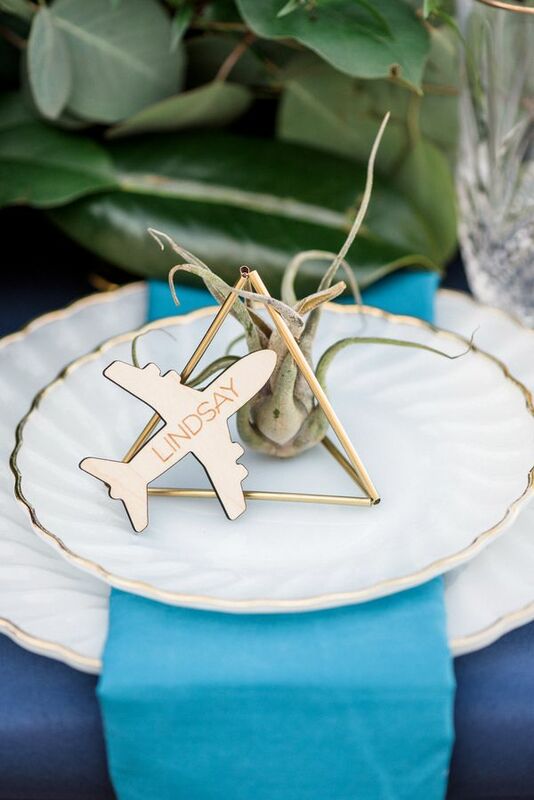 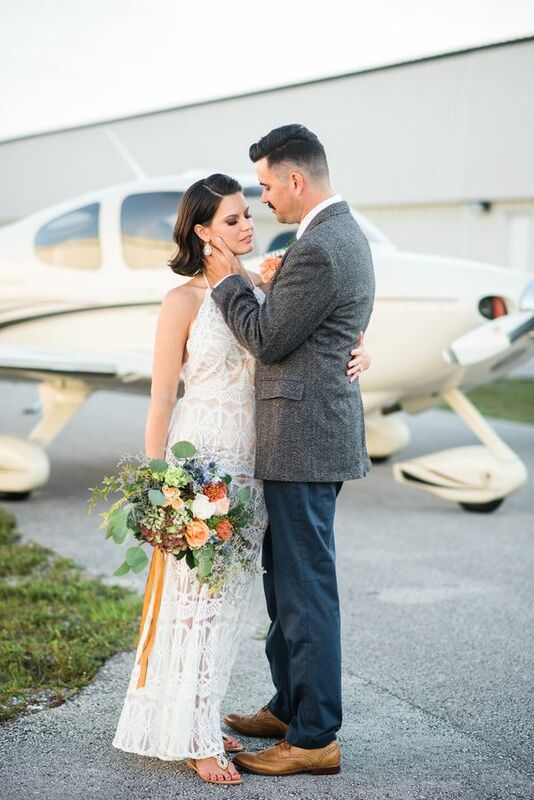 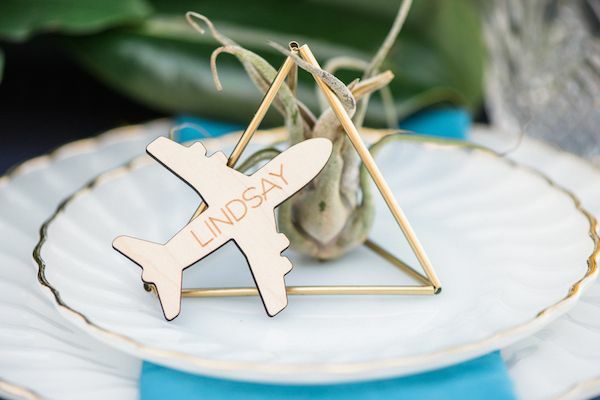 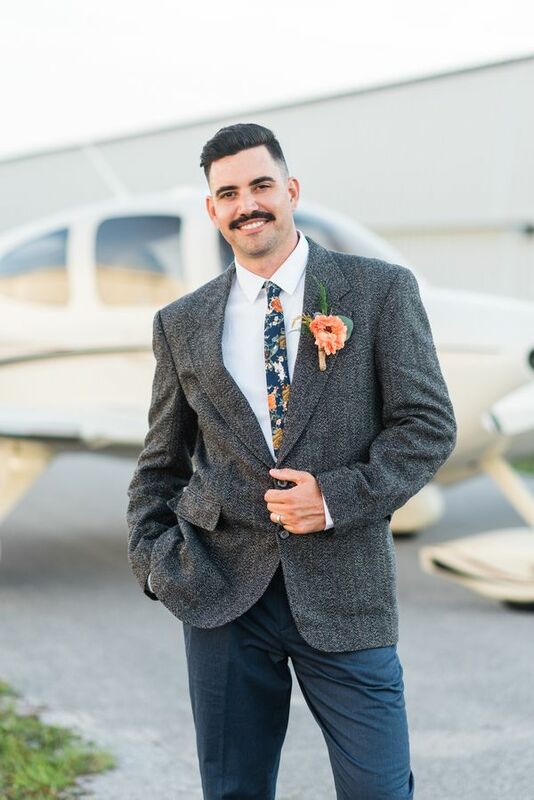 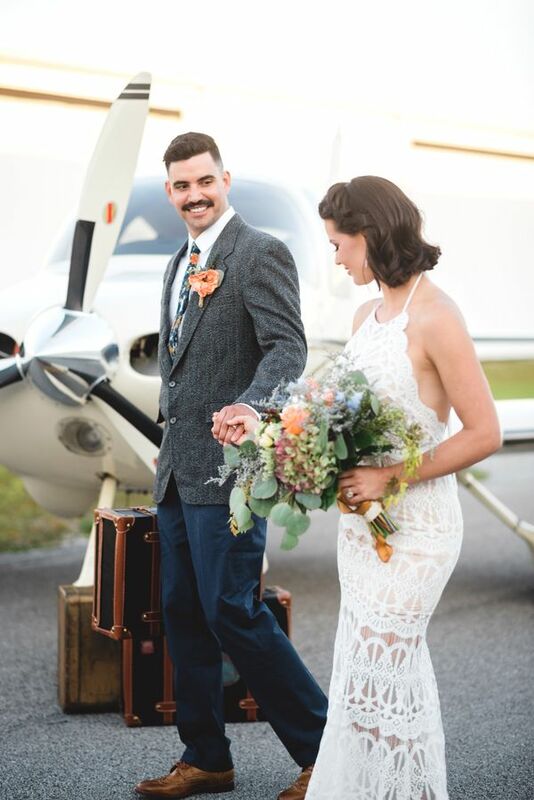 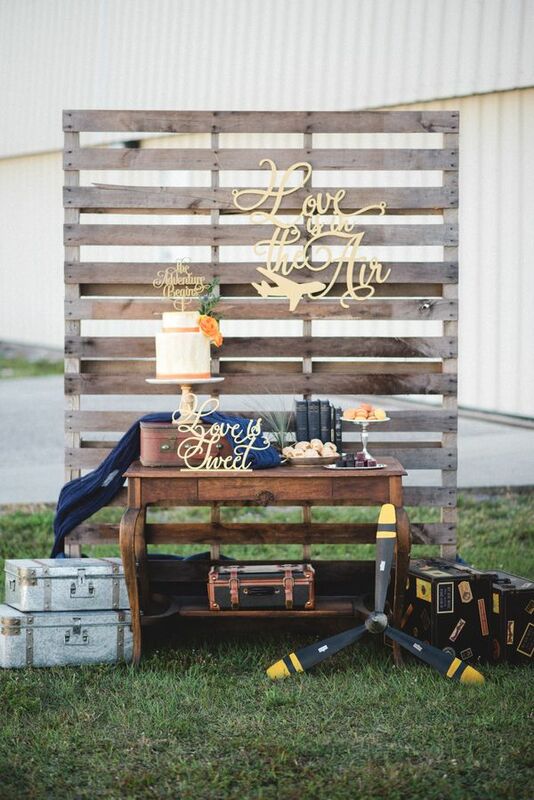 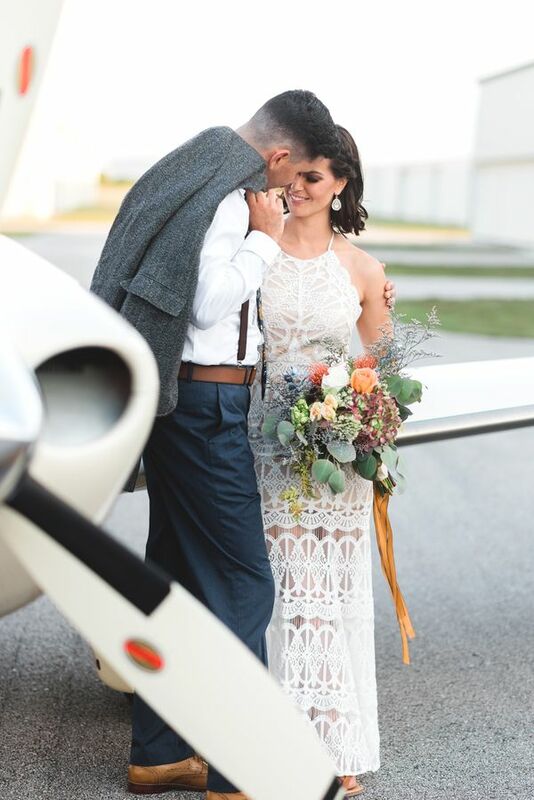 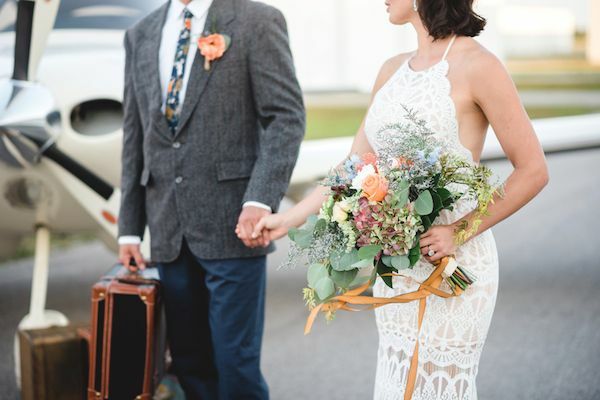 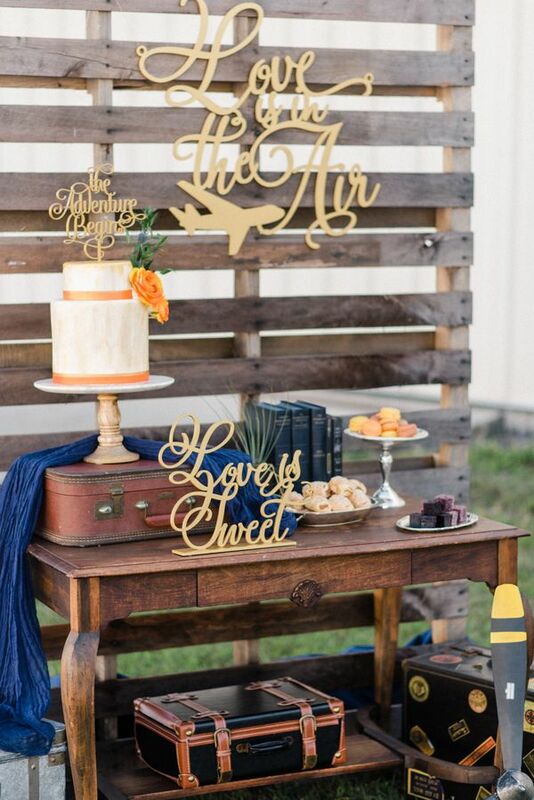 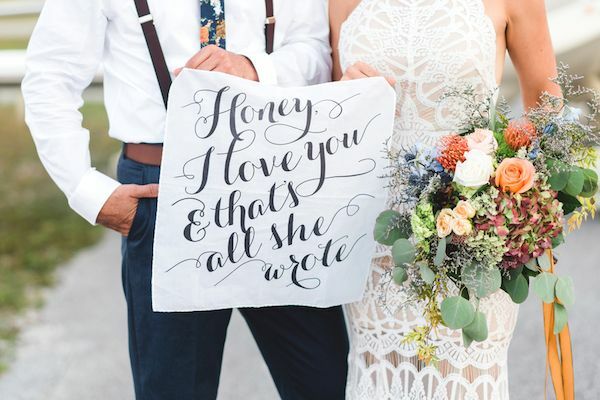 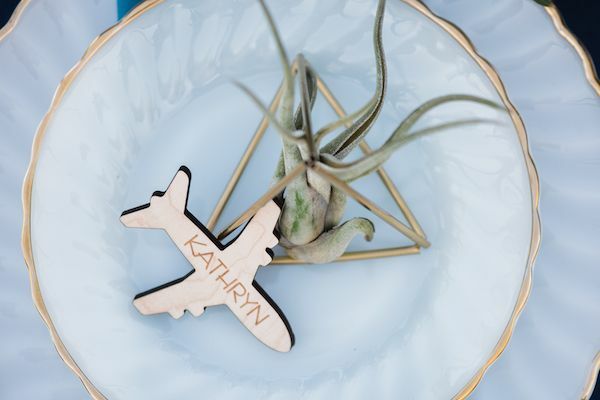 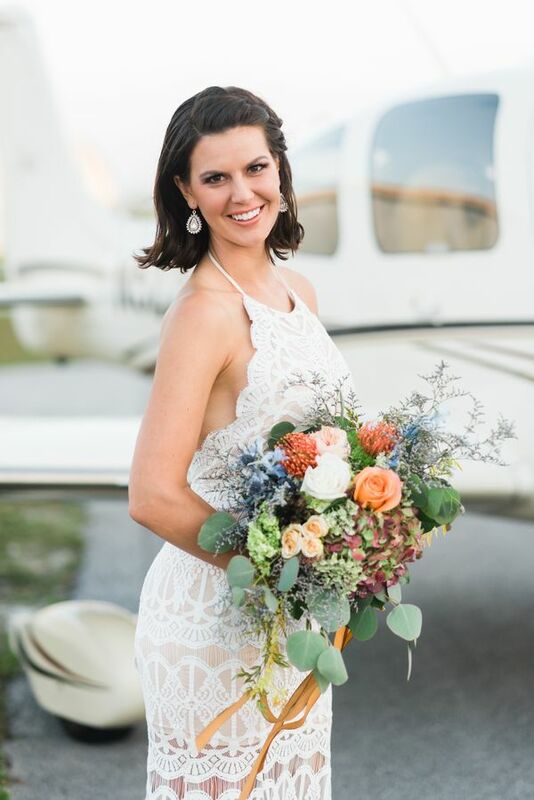 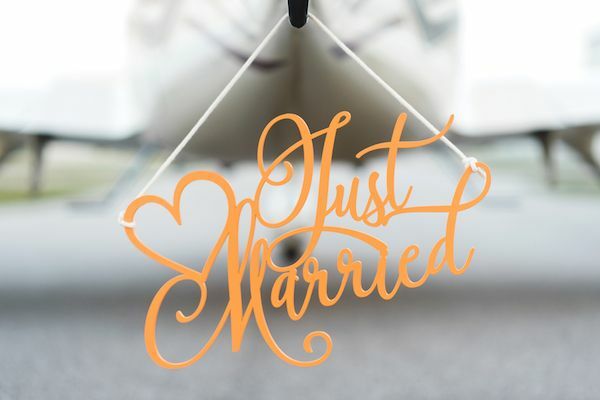 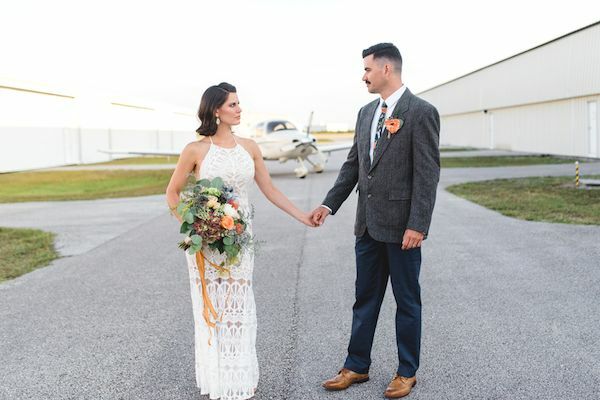 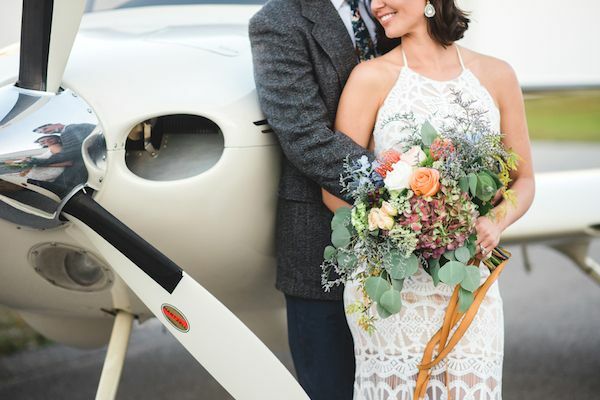 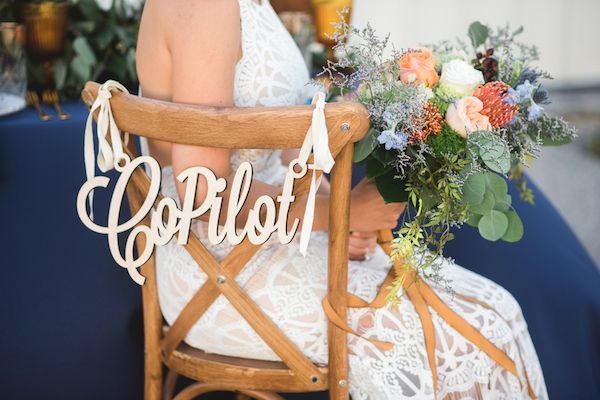 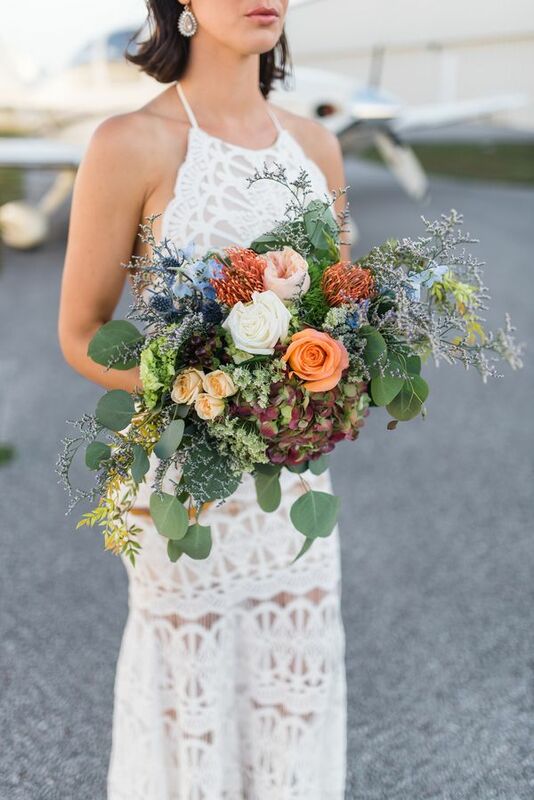 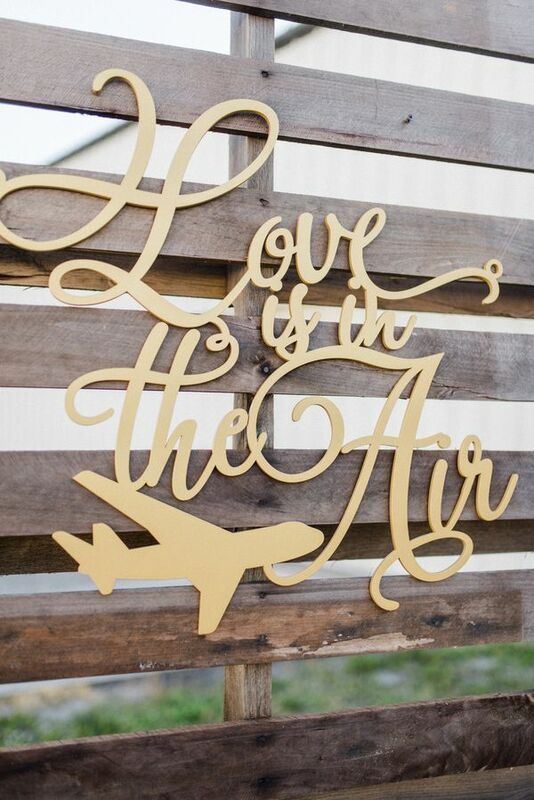 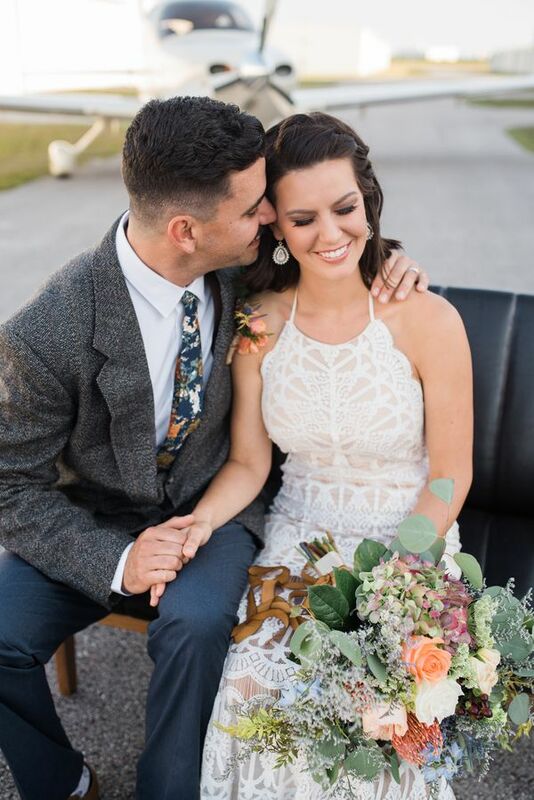 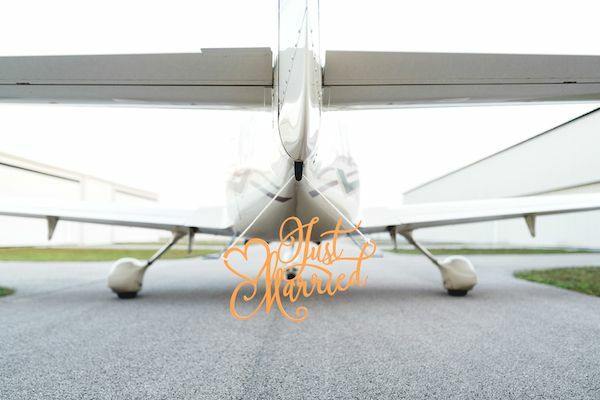 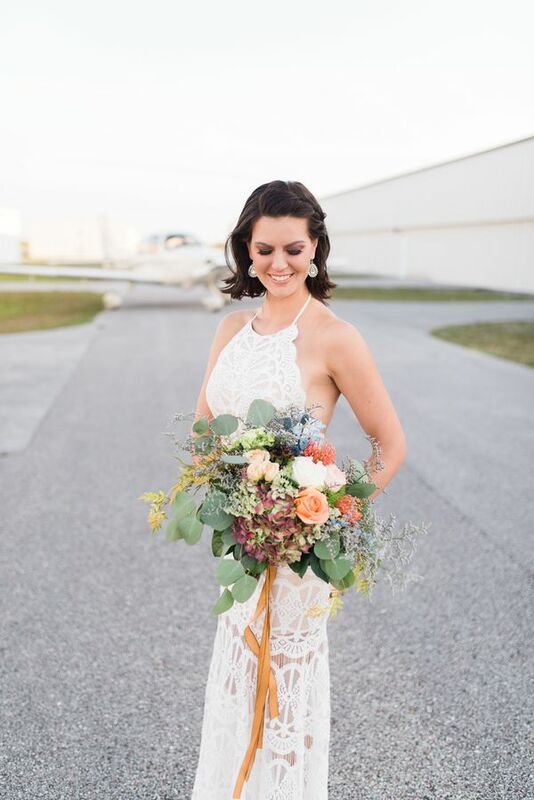 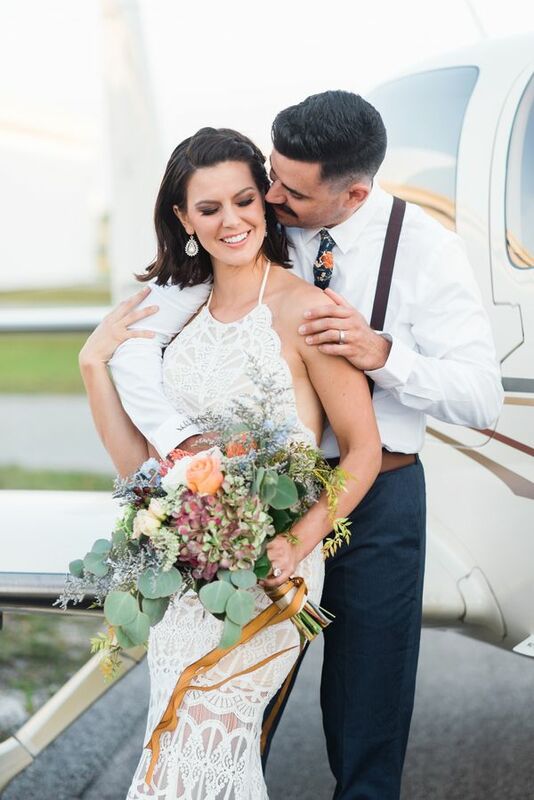 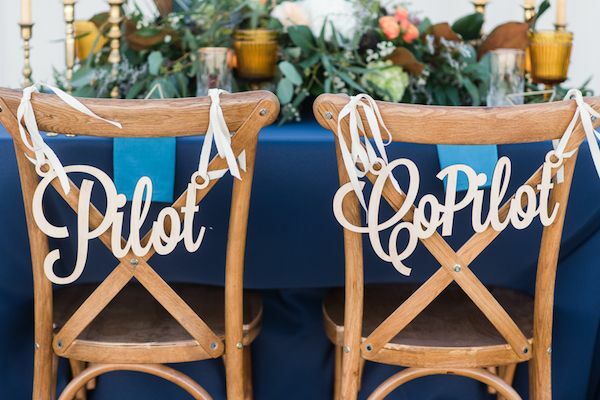 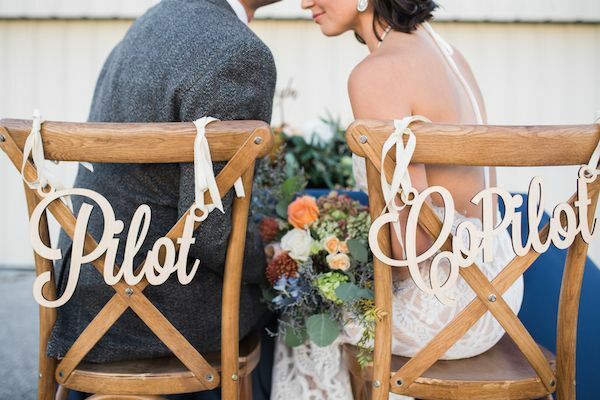 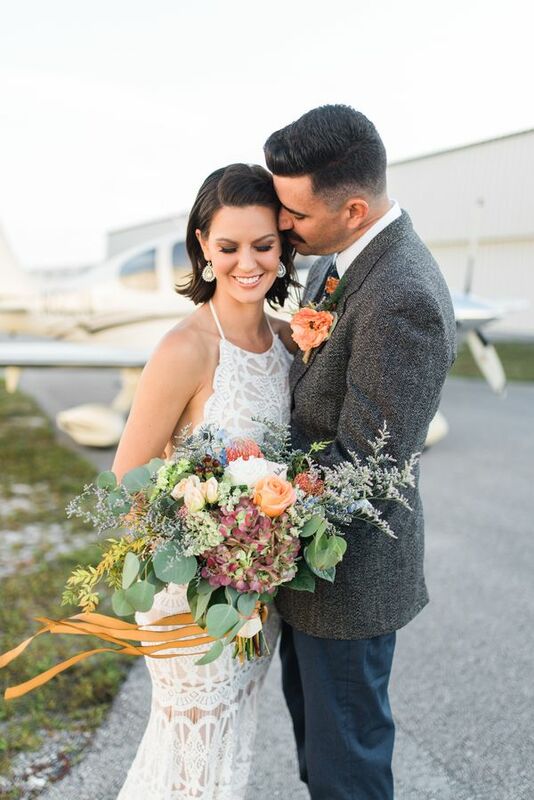 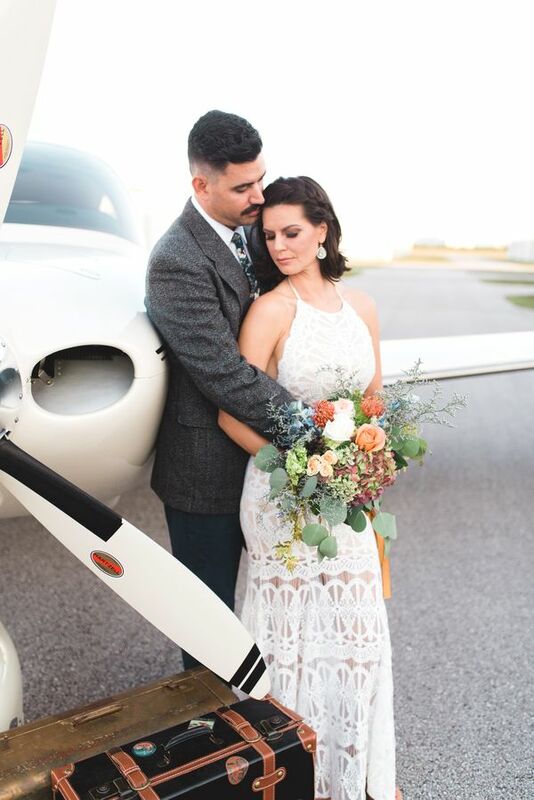 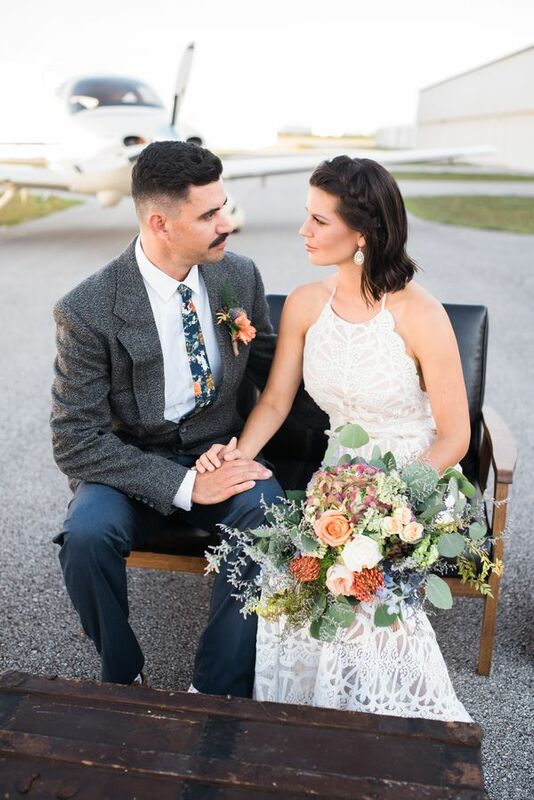 With a private airport hangar as the backdrop, the aviation wedding scene incorporates the modern side of the 1970s along with several eclectic pops of current modern decor. 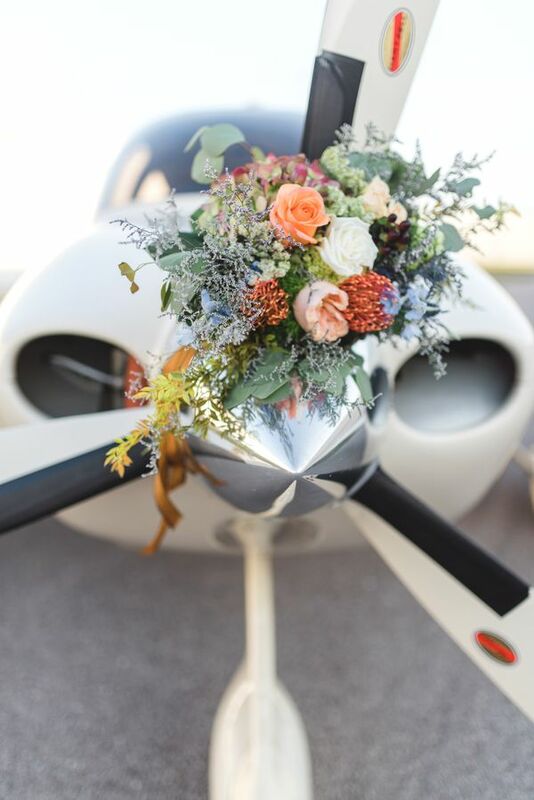 And lucky for us Lisa Marshall Photography was there to capture the magic. 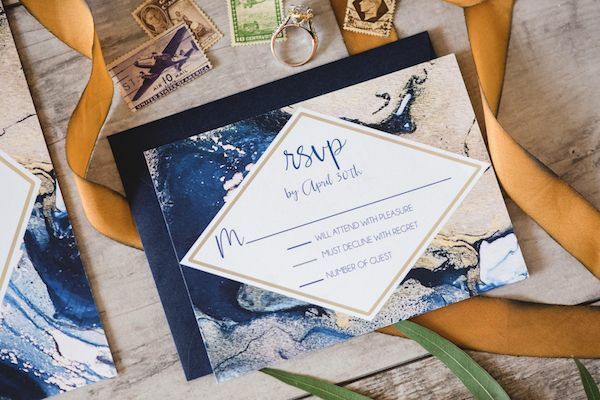 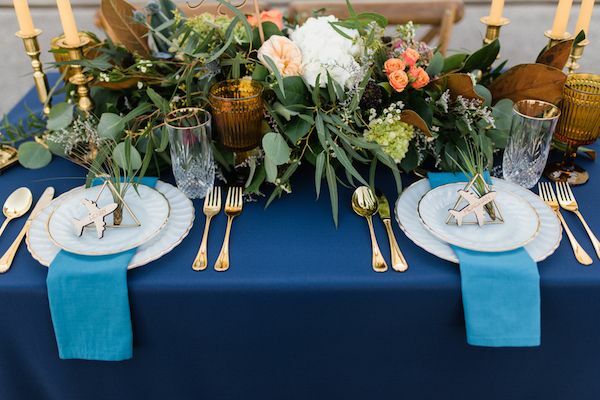 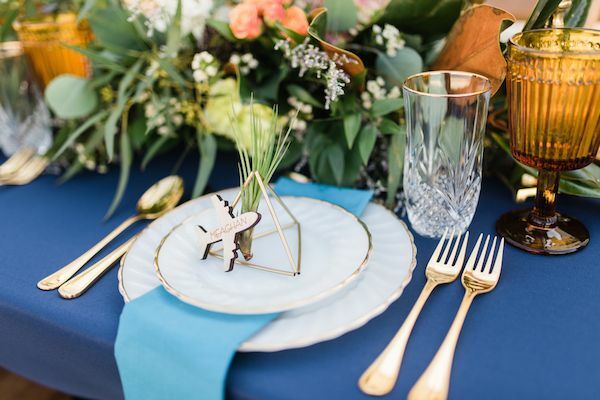 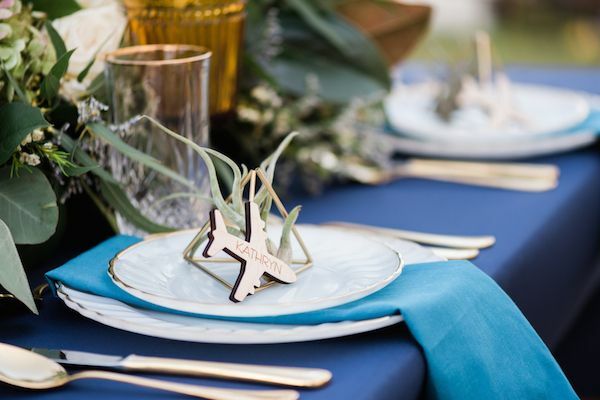 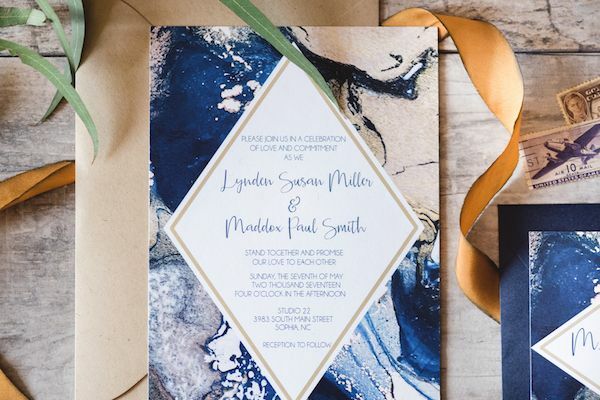 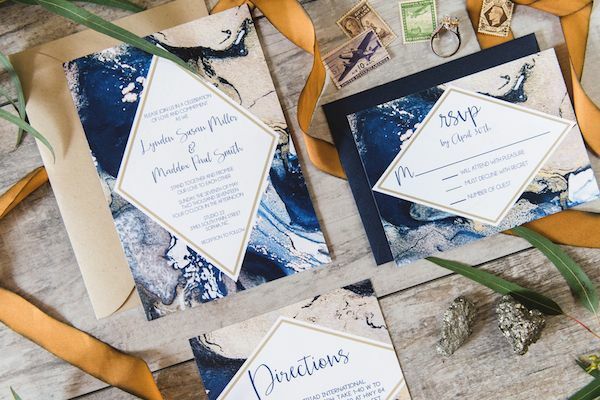 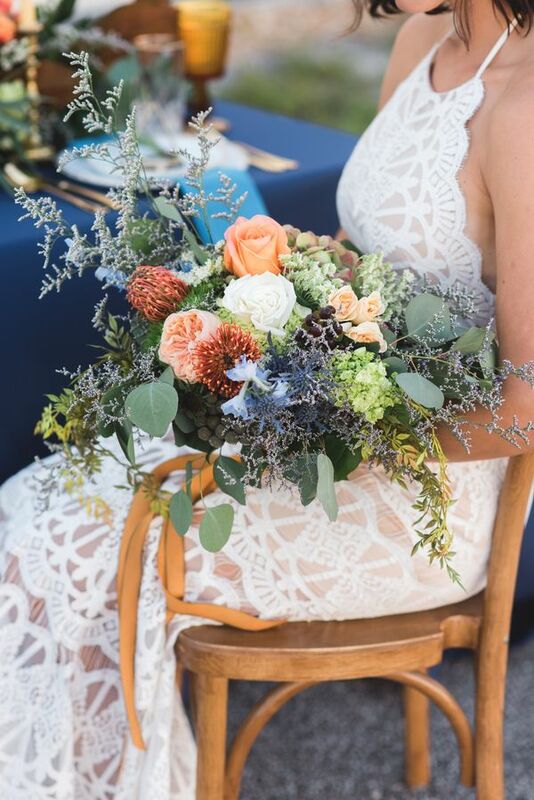 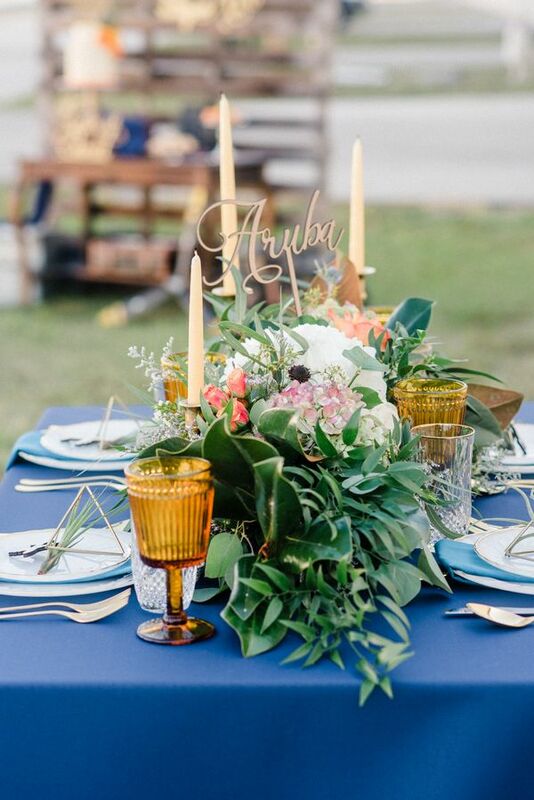 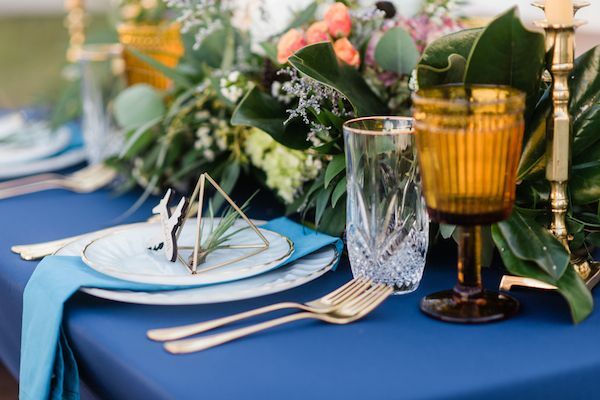 A mixture of deep moody blues with butterscotch, citron, and gold hues paired seamlessly with crystal and pressed glassware, gold cutlery, and a clever mix of mod and vintage elements. 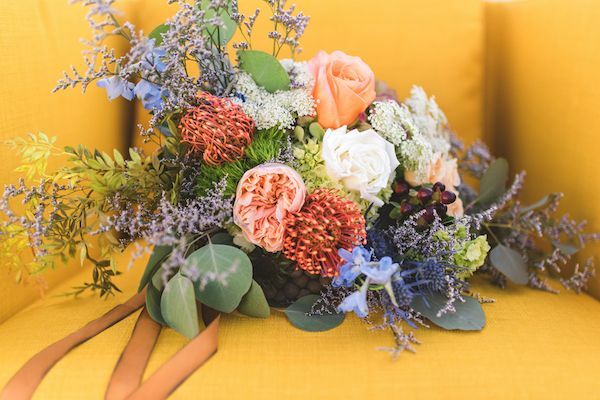 Plus you're not going to want to miss these lush blooms from Buds Etc. 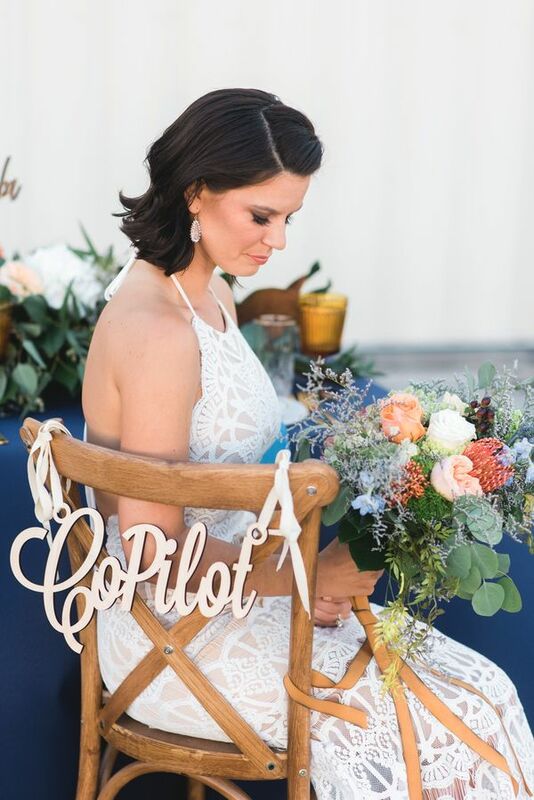 Floral Studio! 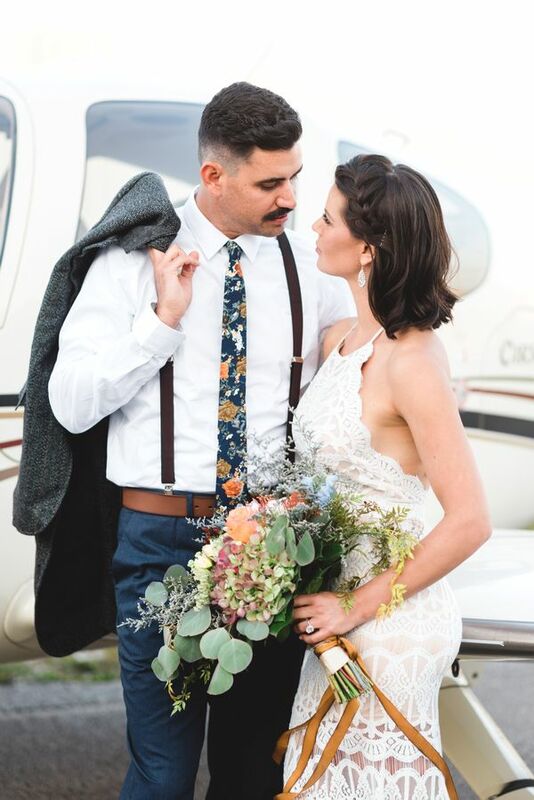 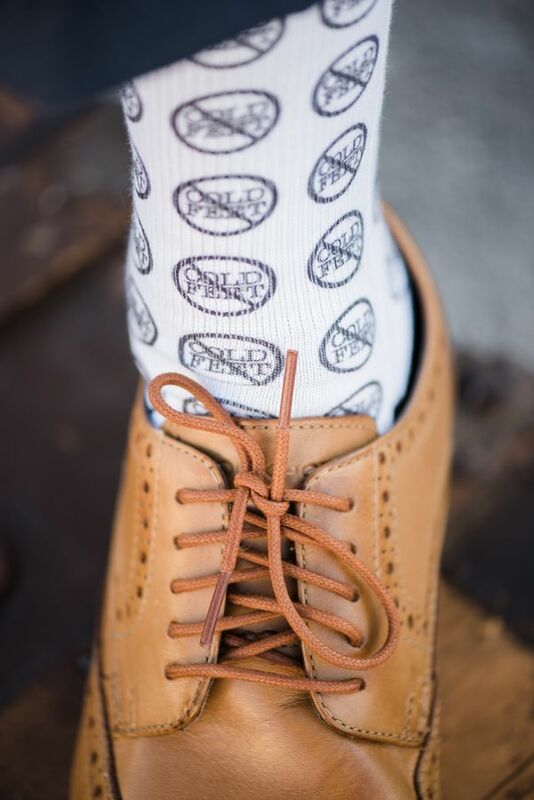 No Comment to " 70's Aviation Exploration Wedding Inspiration "